Altpick.com : News : David Torrence answers the question "Why did the soybean farmer cross the street?" David Torrence answers the question "Why did the soybean farmer cross the street?" 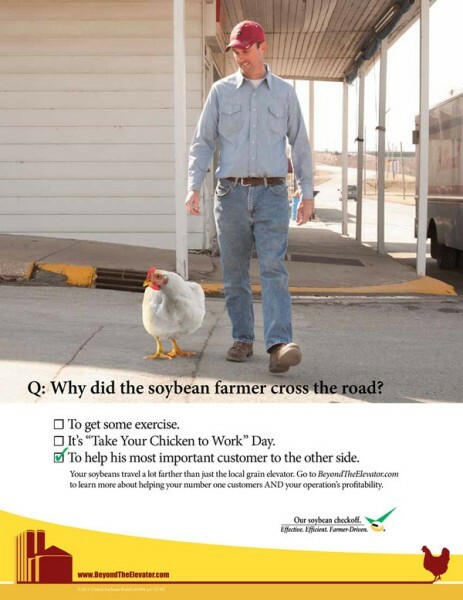 "Why did the soybean farmer cross the street? 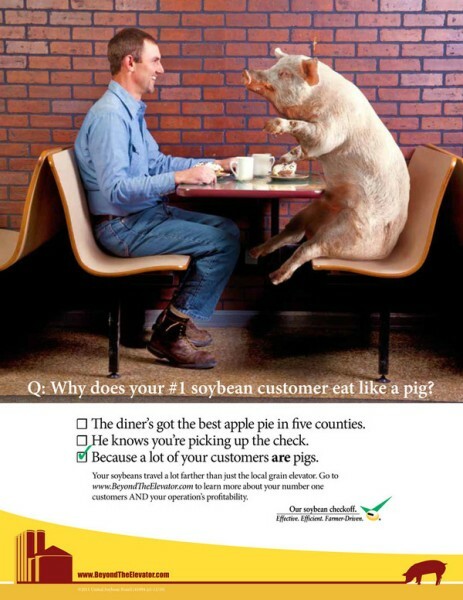 ", "Why does your #1 soybean customer eat like a pig? 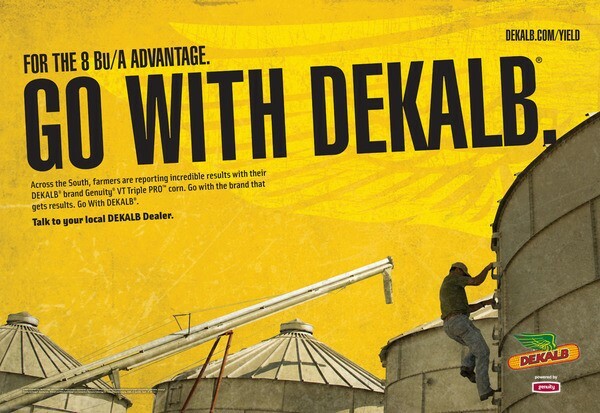 ", are just a few of the Dekalb/Yield campaign ads for client Dekalb/Monsanto, which were recently photographed by David Torrence.